Plymouth Meeting Therapist: Philip Friedman - Therapist 19462. Send A Message To Dr. Friedman. Philip Friedman, Ph.D., is a licensed clinical psychologist and psychotherapist. 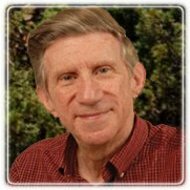 He has been practicing psychotherapy and healing for 30-plus years in the Philadelphia suburb of Plymouth Meeting, Pa. Dr. Friedman is on the Adjunct Faculty of the Institute for Transpersonal Psychology, a Diplomate in Comprehensive Energy Psychology as well as the Executive Director of the Foundation for Well-Being. He is the author of the books "The Forgiveness Solution: The Whole Body Rx for Finding True Happiness, Abundant Love and Inner Peace" (2009) and "Creating Well Being: The Healing Path to Love, Peace, Self-Esteem and Happiness" (1989). Dr. Friedman is one of the founders of Integrative Psychotherapy and Integrative Healing. He has published original research on forgiveness, gratitude and well-being in a clinical population showing that dramatic changes are possible in a relatively short period of time.